Unfortunately, almost anyone can become a victim of domestic violence. Almost every day, there’s a news report that another movie star, athlete, politician, or pop singer has been accused of committing domestic violence. In the state of California, however, domestic violence is considered a serious crime, and a conviction can put an offender in jail or possibly even in prison. Often, however, domestic violence is a difficult crime to prove beyond a reasonable doubt, so it can be tough for victims to find a permanent solution. An experienced Orange County domestic violence lawyer at the Bayati Law Group can explain California’s domestic violence laws and help the victims of domestic violence to obtain the legal protection they and their children need. We’ve helped scores of domestic violence victims in southern California, and we know how to put the law to work for you. If you need effective and permanent legal protection from domestic violence, call the lawyers at the Bayati Law Group immediately. In southern California, if you become a victim of domestic violence, call the police as soon as it is safe to do so. Domestic violence charges can be filed as either a misdemeanor or a felony, depending on the severity of the crime. Penalties for a conviction can include jail time, fees, and the loss of a professional license, depending on the penal code that was violated. However, you’ll need to understand that in many cases no arrest will be made. In other cases, the abuser will hire an Orange County criminal defense attorney, swiftly make bail after being charged, and be set free into the community to continue to pose a threat. Clearly, you need to take action to find a more permanent solution to prevent further issues. An experienced Orange County domestic violence lawyer with the Bayati Law Group can help you with the next step, which is an emergency protective order or a temporary preventing directive. 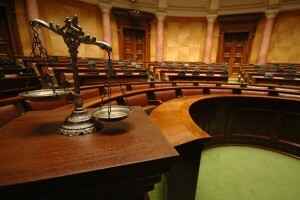 Several types of restraining orders are provided by the courts in the state of California. An emergency protective order is good for only seven days, and a temporary preventing directive is good for only twenty-one days. Try to have patience. It can take time to work through the legal process to achieve a final and lasting solution to a continuing family aggression situation. A “permanent” restraining order, good for five years, may be issued after an evidentiary hearing, but obtaining a permanent restraining order can be a lengthy and quite complicated legal process. If you obtain a temporary restraining order, a hearing will be conducted regarding a permanent restraining order. Have a domestic violence attorney with the Bayati Law Group accompany you to that hearing, and bring any documentation – including police or medical reports that document your injury, photos of your injuries, or anything – that confirms your domestic violence claim and proves that you need a permanent restraining order. A preventing directive will compel an abuser to stay a specified distance away from you, your home, and your workplace or school. Domestic violence victims can also ask for a restraining order that stops an abuser from contacting you by telephone, by mail, or online. If the abuser has been your household’s chief breadwinner, a judge can order that person to keep making mortgage or rent payments and to pay for other essentials as well. Don’t hesitate to ask your attorney to answer all of your questions and address all of your concerns. Before the hearing regarding a permanent restraining order, you should understand all of a restraining order’s implications. A permanent restraining order is not easy to obtain in the state of California, but the Bayati Law Group will work with domestic violence victims until they and their children are safe, secure, and fully legally protected. It doesn’t matter if you are a man or a woman, either. A woman is not always the victim of domestic violence. Some people may not yet take it seriously when men claim that they are the victims of domestic violence, but domestic violence against men is a considerable and growing problem. The U.S. Centers for Disease Control and Prevention has reported that forty percent of the victims of physical domestic violence in the United States are now men. Family law attorneys know this is true because they see the effects of domestic violence close up. In southern California, if you are a victim of domestic violence – of either gender – discuss your circumstances, your rights, and your legal recourse as quickly as possible with an experienced Orange County family law attorney at the Bayati Law Group. Family law attorneys at the Bayati Law Group work with diligence and dedication to safeguard the interests and rights of clients who are the victims of domestic violence in southern California. We find the legal solutions that allow those victims and their children to move forward positively with their lives. We have the experience, skills, and the determination it takes to get involved and handle the most difficult domestic violence cases. Whether you need protection and help right now to stop domestic violence, or if you require some legal advice to help you plan for your future, an experienced Orange County family law attorney with the Bayati Law Group is available to offer an evaluation of your circumstances, to discuss each of your legal options, and to help you make the best legal choices for yourself, your children, and the future. It is our policy to treat every Bayati Law Group client and every prospective client with complete respect and extend every professional courtesy. Every client phone call and email is returned promptly by someone in our office to ensure you receive the services you need. You can schedule a consultation appointment with an experienced California divorce attorney at the Bayati Law Group offices by calling (949) 798-5700 or by completing the form on the contact page of this website. The contact page on this site will also provide you with driving directions to get to our main office. The Bayati Law Group represents clients in domestic violence cases and all matters of family law in Orange County and across southern California.